Last week we visited the Laing Art Gallery in Newcastle city centre. I have heard so many great things about this place, but never visited before, so as James has broken his leg and we suddenly need more indoor play spaces, what better time to discover this brilliant place for a day out with my toddler and his hop-along brother. 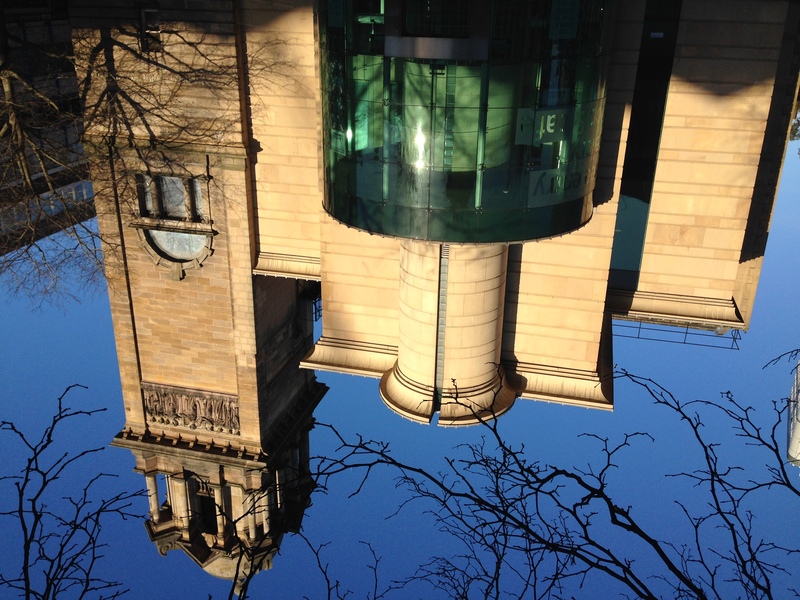 The Laing Art Gallery is in the centre of town, just a short walking distance from the busy Northumberland Street. We parked in the Ellison Place car park, which is £1.40 per hour, and discovered that on-the-street metered parking is cheaper (after I’d paid, of course). You might find that using public transport works out cheaper than parking, depending on how long you plan to stay in town. We were greeted by staff on reception, and offered a map of the exhibits. I didn’t pick it up, however, so I didn’t look at it, because instead I was given information tailored to the boys and what they might like to look at and do. We found the Gallery to be easily accessible with a small lift to visit all floors. We started at the top, where there is a permanent exhibit of 18th and 19th Century paintings. 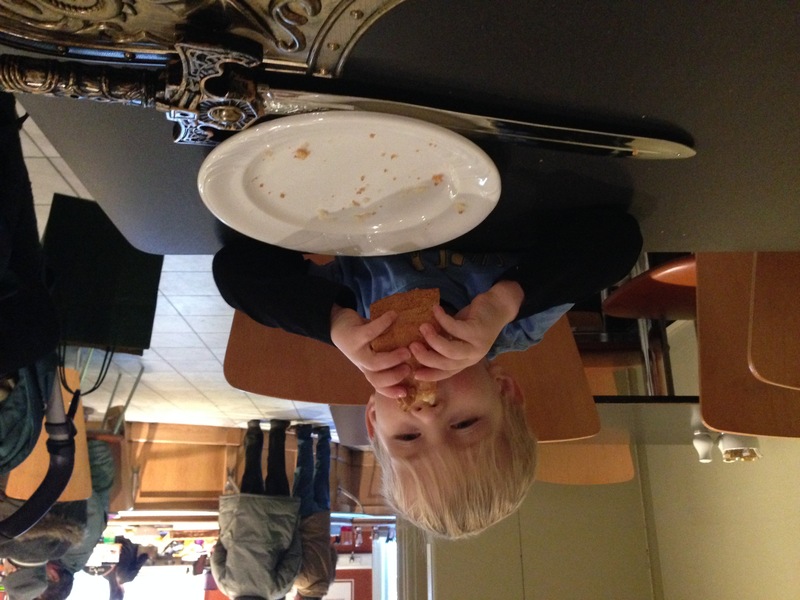 We spent some time discussing what we could find in the art work – a sword, a boat, and so on. There were some paintings of places we’ve visited, such as Ephesus, or apparently look like places we’ve been to, according to James! We also discussed what the people were feeling in some of the paintings. I don’t think I did as great a job as Cindy the Art Curator might have, when talking about art with the kids, but I don’t think you can be too young to look at art in a gallery. There is an exhibit called The Arts and Crafts House: Then and Now, which we didn’t visit, mostly because of the entrance fee. Whilst I absolutely do agree in funding and encouraging the arts, I don’t think I’d have got my money’s worth in the gallery simply because that helpful staff member at the entrance door had told us about the Under-5s area, which James was keen to visit. The play area was – amazingly, I think – empty apart from us! There is a buggy park, and two sofas as well as plenty of space for grown-ups on the tables nearby. There is a little house with a tea set on the table, a window to peek out of and a small hole to crawl through; lots of fun for toddlers! 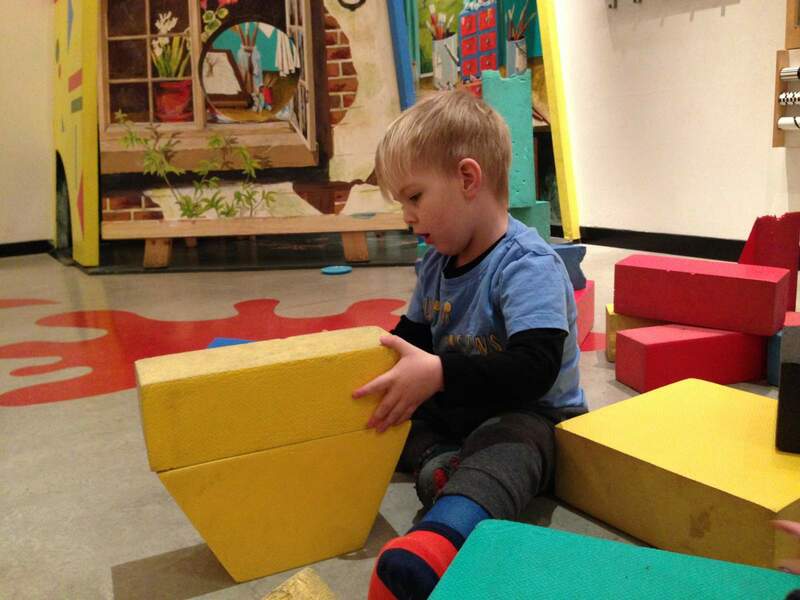 There are also some large foam blocks, which really captivated James and he enjoyed playing with those; arranging them into shapes and patterns. A huge mirror next to some dress up outfits encourages role play as animals, and I did get Noah to be a little cow for a short while. Finally we did some art work of our own before using the nappy change facilities (good, spacious, and clean). Due to paying for the parking in advance we were limited on time. We spent just slightly less than two hours in the Laing Art Gallery, but could very, very easily have spent longer. We rushed around the permanent exhibit Northern Spirit, which was a real shame – there were lots of things to talk about and also a children’s activity sheet to complete together, so we must go back! I am so gutted to have found this space now I’m back at work – the Little Artists sessions on Tuesday mornings look brilliant. I’ve never taken my kids to the Laing but do remember visiting as a child with school. 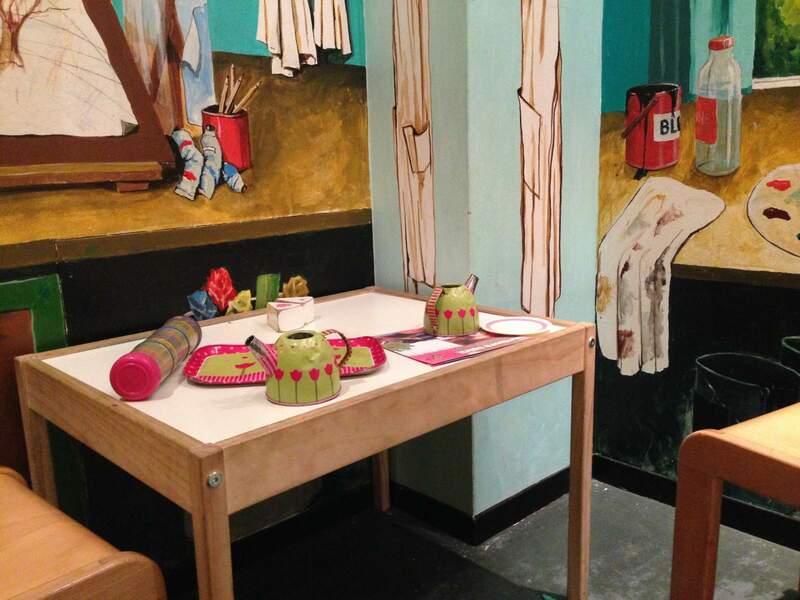 Steve and I visited last year to see a few pieces from Picasso in a visiting exhibition. It was a lot bigger than I remembered and definitely lots to see and do. I think if you can brave walking up Northumberland Street with the kids it’s a good option to pair with the Great North Museum or maybe even after a kids screening at Tyneside Cinema. I think we might go back to see the da Vinci pieces in February. Pairing a trip to the Laing with a film at Tyneside Cinema is a great idea, and maybe even lunch at Fat Hippo! 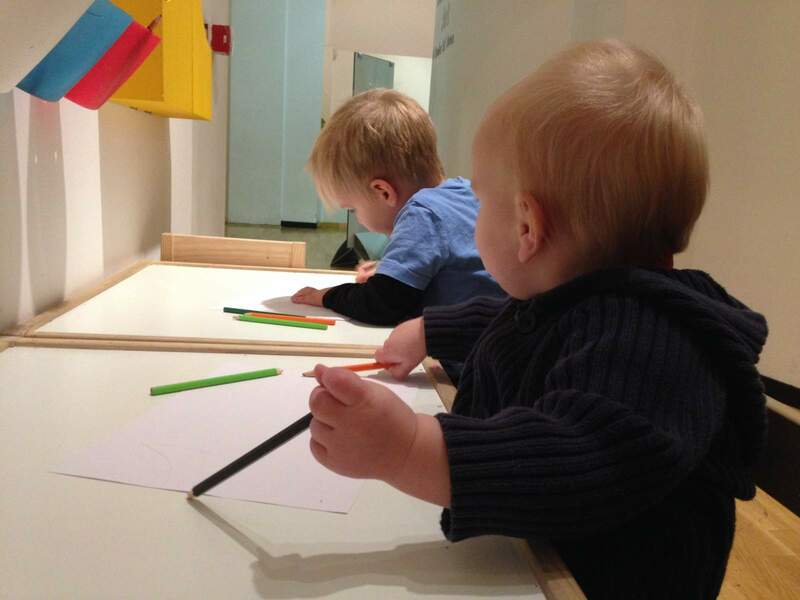 They are fascinating places anyway, but yes, this one has really thought about engaging kids from a young age. Thanks for joining #daysoutwithatoddler!